Acer X112H projector features high brightness and contrast ratio for showcasing vividly detailed text and images. DLP® 3D and HDMI® 3D Ready capability makes work presentations more convincing, and home entertainment more exciting. 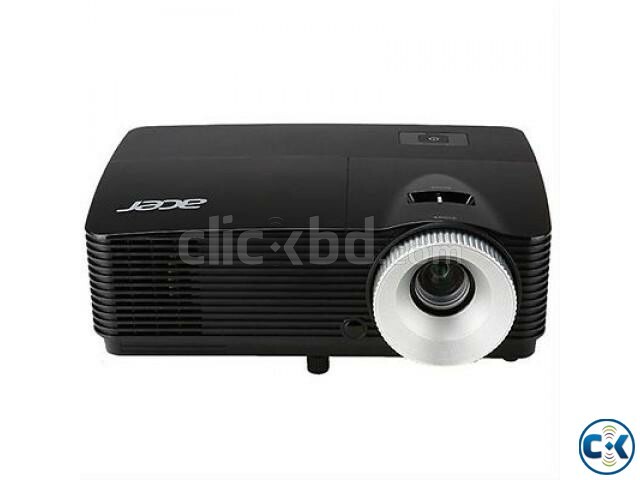 To top it off, Acer X112H projector is readily affordable. Acer X112H projector and a PC or an A/V device supporting 3D output deliver a flicker-free 3D experience. The DLP® 3D kit features DLP® Link™ 3D glasses for seamless 3D data transmission. 800 x 600 resolution.Brightness 3000 lumens. Contrast ratio 13000:1.1.07 billion colours. Suitable for screens up to 300in.Power saving facility. General information:Size H28.9, W23.5, D9.2cm.Weight 2.3kg.